Swagbucks loves November so much, it's worth of a set of Collector's Bills! 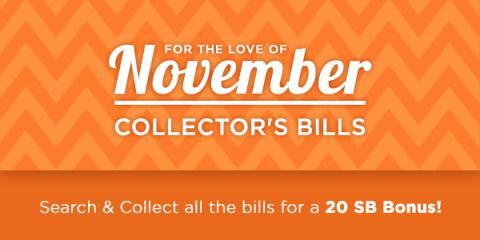 Introducing For The Love of November Collector’s Bills! Collect all 4 Collector’s Bills and you’ll earn a 20 SB Bonus!